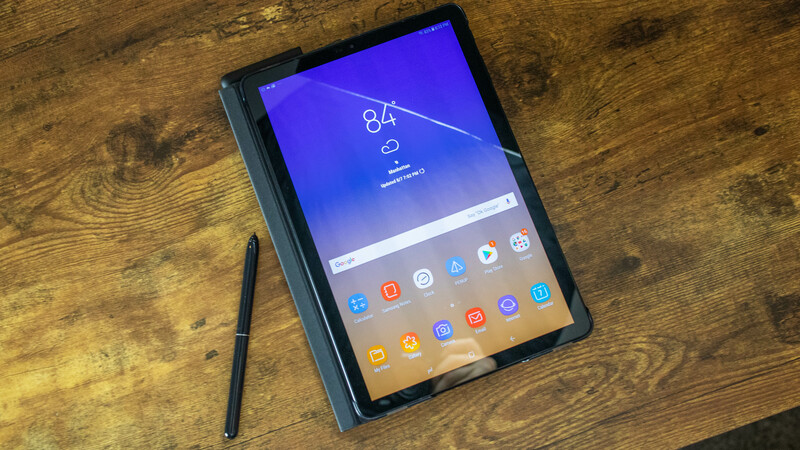 After Apple iPad Pro 10.5, Samsung has upgraded this year's Android tablet with a 10.5-inch Super AMOLED display, erasing a noticeable amount of needless bezel around the screen. 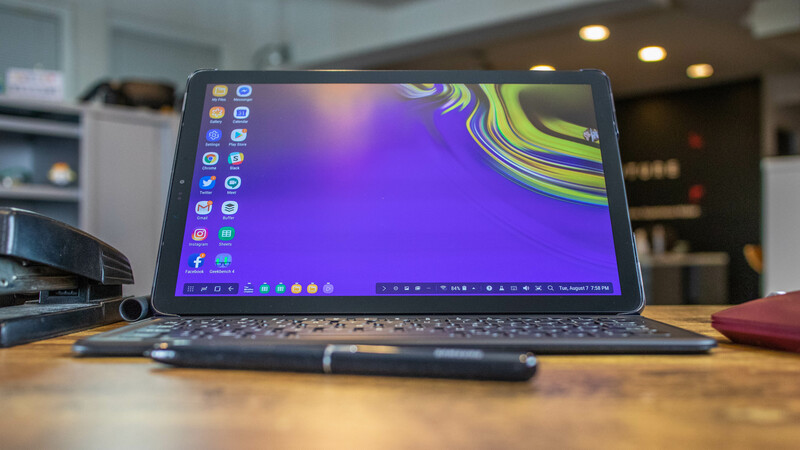 Samsung has eliminated the physical home and capacitive navigation buttons on the front, allowing it more space for a bigger 10.5-inch super AMOLED display over last year's 9.7-inch. 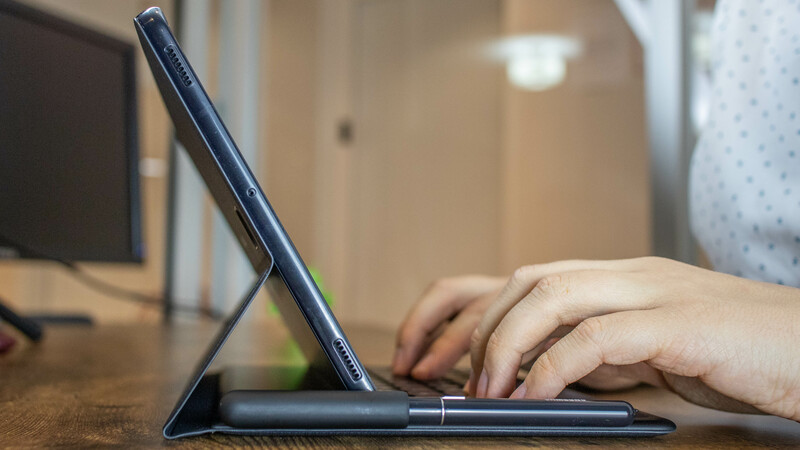 Like its phones, the tablet now gets an edge-to-edge treatment but it's not completely bezelless. 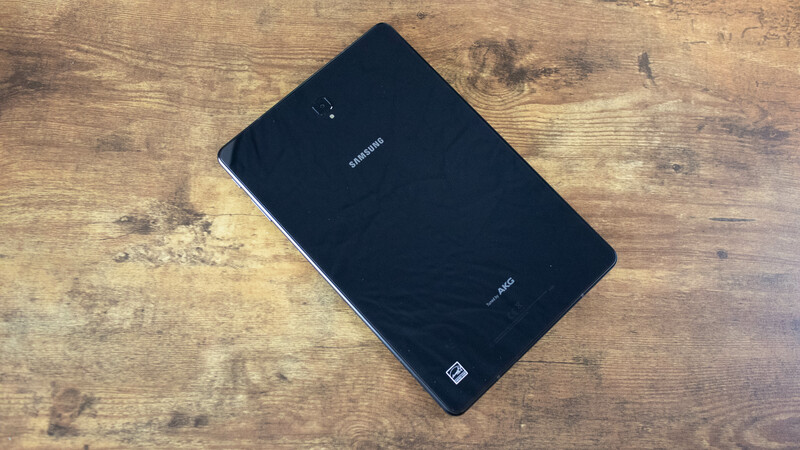 The iris scanner that replaces the fingerprint sensor works fine if you’re in front of the tablet at a good angle. We were using pin code to unlock the device most of the time. But there's a lot more forgiveness here as you don't open up the tablet a lot of times in a day like your smartphone. If you are looking for a third party case, make sure it's not blocking the four-sided AKG-tuned speakers which sound great. 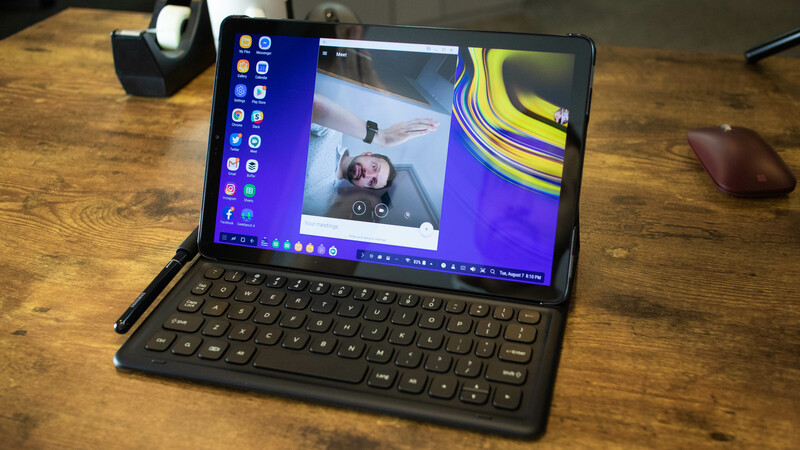 Samsung’s new Daily Board software means that while the Tab S4 is an Android 2-in-1 tablet by day, it can turn into a photo gallery - and information-filled nightlight - by night. Something similar goes for the front camera as well, as your tablet camera usage is or should be limited. After all, you have to live in a society which will shun you if you're found clicking photos with a tablet. Especially, in public. 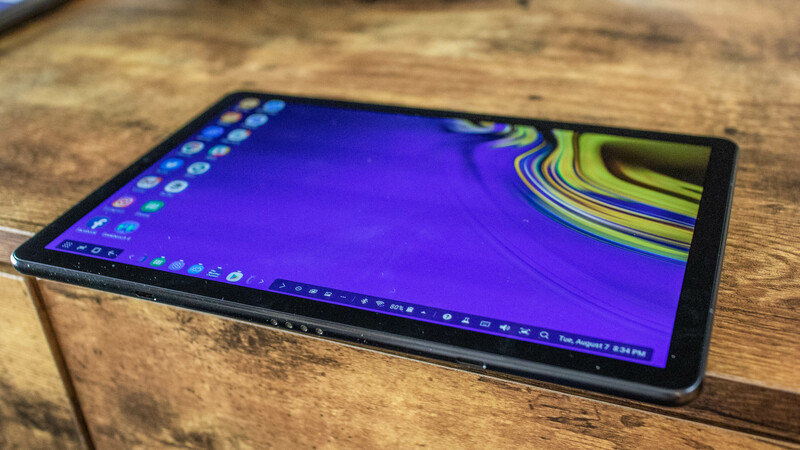 While other apps like Skype worked fine, it's still going to be difficult to convince your entire organisation to switch to the software which works well on YOUR tab. 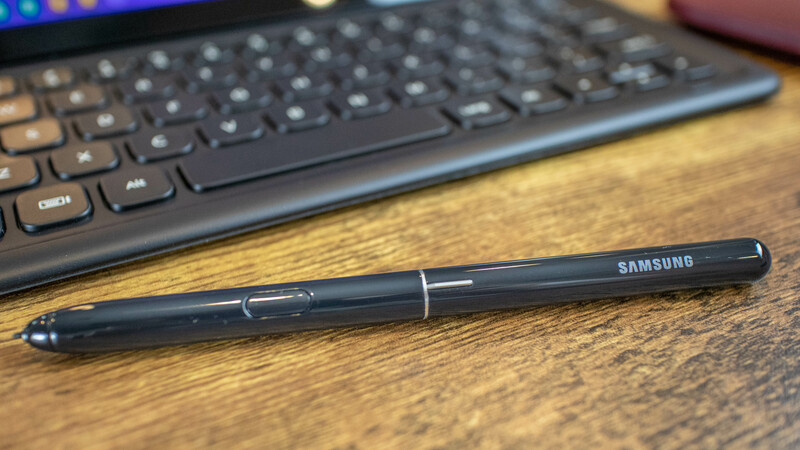 The core idea behind Samsung Dex for its desktop interface is likeable, but it still feels unfurnished because of the non-touch-friendly UI. 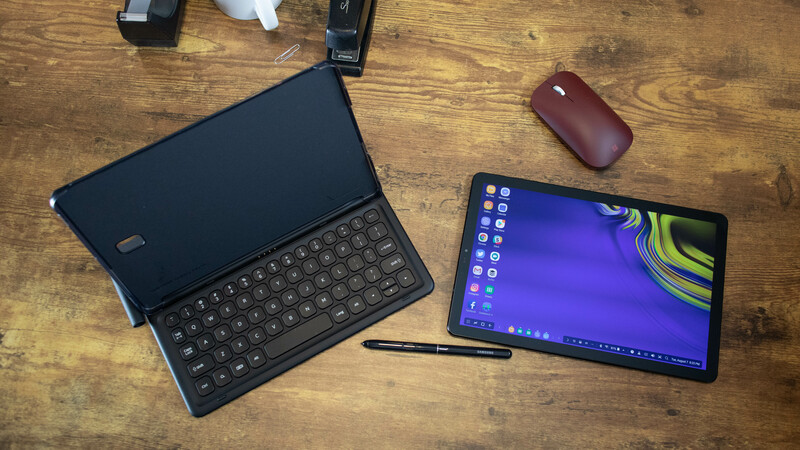 Although we really liked the quality and form factor of the keyboard cover, it still felt cramped and we did miss a trackpad. 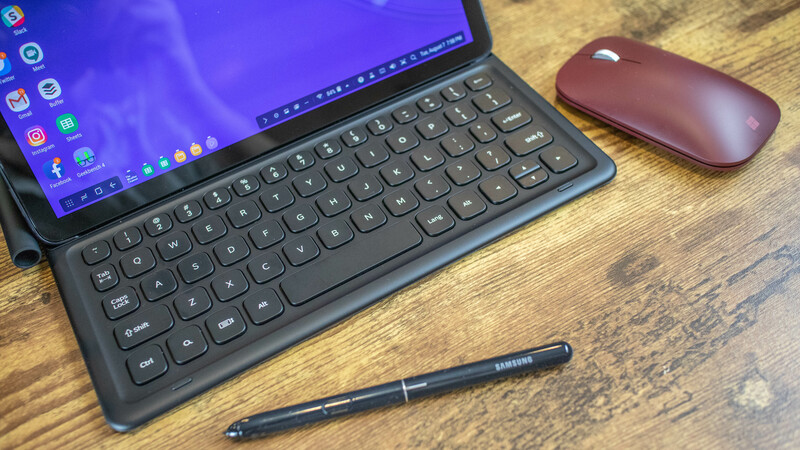 The shift from a Mac or a Windows laptop to this keyboard isn't smooth either.